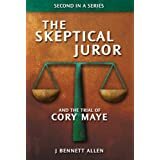 The most recent version of my working draft habeas for Preston Hughes is now available at Skeptical Juror Docs. The 50 page limit has turned out to be a godsend. It forced me to once again consider the organization of the entire petition, to focus on the most critical issues (rather than on all cognizable claims), and to remember that the petition must, at its heart, tell a story that will capture and compel the reader. I spent most of the last 28 hours putting the draft petition on a low-carb diet, leaving behind only the bacon and the cheese dip.The intro is one page. The table of contents is one page and will remain one page. The table of authorities is one page and will remain one page. The procedural history is one page and will remain one page. The statement of facts has been slimmed way down. The new evidence items have been reduced from 10 items to 5. The due process items have been reduced from more than 10 to 5. 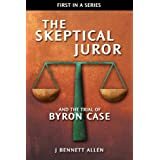 All decisions regarding what stayed and what went were made in light of the parallel case Allen, since that case is so similar and since that case was decided favorably by the Texas Court of Criminal Appeals. That's the story I want to tell. The most recent working draft reflects many of the changes and completes the discussion of the 5 new evidence issues. The most recent of the new evidence items begins on page 23 of the current draft. Also, I have received a number of comments and criticisms regarding the draft petition. I cannot respond to each, due to time constraints, so I will respond to all here. Each comment causes me to think about what I am trying to accomplish and about how I might best accomplish it. Most comments cause me to adjust my thinking, if only a wee bit. All comments are sincerely appreciated. In the next 24 hours or so, I hope to complete the due process portion. In the 24 hours after that, I hope to complete the ineffective counsel portion. Over the weekend, I hope to complete the draft. It's a challenging schedule demanding more efficiency that I have yet been able to muster, but it's my intent nonetheless. You need to check with the rules but generally, tables are not part of the page count -- and they often can be single spaced. In Schlup v. Delo, the USSC held that new evidence of actual innocence provides a gate way to due process blah blah blah. the accused has been discovered since trial." You omitted the "shall" -- shalls are important since it makes it mandatory. Thank you for the corrections. I will be able to incorporate them. I'll cite the cases using the single name aliases I define in the table of authorities, as I have done in some places already. The case citations will appear more frequently when discussing the Brady violations and the ineffective counsel. Since I don't have a law library, nor even a Nexis/Lexis account, I may not always be able to located the pin citation. (I rely on Google Scholar.) I'll add pin citations to the extent I can properly identify them. Remember, you are talking to an absolute novice who, by the way, sincerely appreciates your comment and advice. Wow, John! You are burning the midnight oil for Preston on the habeas! Respect to you!!! Just holler and I will fly over some coffee and doughnuts to keep you company! We are cheering you on this side of the world! I am not a lawyer and cannot usefully comment on the law, but here are some of my observations on your presentation of the evidence, for what they are worth. You call the 2:58 AM time stamp “incontrovertible” evidence that the HPD had searched the apartment prior to that time, but it seems to me that it would be easy for a court to dismiss that as a typographical error and thus dismiss your argument as a house of cards that falls with that one detail. I agree that 2:58 AM seems like an unlikely typo for a time in the midmorning when the HPD claims to have searched the apartment, especially on a typewriter where the 2 is nowhere near any numbers other than 1 and 3, but you are making very strong claims and very serious accusations attached to that time. Provide the corroborating evidence you have to support the idea that there were two searches up front. Don't let it all ride on that time stamp; that is too easily dismissed, and when you are accusing the HPD of deliberately planting evidence to frame an innocent man, I think it likely the court is going to be looking for reasons to dismiss it. And in general I think you need to be very careful about using words like “incontrovertible”. Likewise regarding the photographic evidence, it would be very easy to claim that “two rolls” doesn't necessarily imply “two complete rolls” (maybe he wasn't starting the 1st roll fresh) and therefore that you have no evidence of missing photographs. Similarly, be careful with the exsanguination evidence. Sheep and humans may have similar blood volume, but they don't have similar brains, so that study, while I think it's relevant, doesn't necessarily merit the space you give it. You also can't quote the study that sheep brains lost responsiveness after 70 seconds on average and then claim that that means Shandra lost consciousness after 70 seconds at maximum. That does not follow, and in any case you don't need it—it sounds like, given the timeline, the police are claiming she retained consciousness for at least 13 minutes, so address the likelihood of that claim directly rather than trying to argue for 70 seconds when you really can't. Likewise, the judo stuff is interesting but dubiously relevant (the choke hold requires compressing both carotids) and I think merits maybe a sentence but not the space you give it. I also think that with this evidence you again risk the court seeing it as all dependent on one detail (the use of the word “transected” in the autopsy report) and you need to buttress that detail (e.g. the use of "perforated" in Marcell's autopsy report vs. "transected" in Shandra's indicates the ME was using those words to mean different things, not just sloppily calling an incomplete cut "transected"). I'm still catching up on the vast amount you've written about this case, and I think you've likely addressed a lot of this before, but of course the court is not going to read your blog and what strikes a friendly reader as unconvincing in this document is probably even more likely to strike a court that way. Hope this is of some use, apologies for the great length. If you are going to argue IAC of appellate counsel, too, be sure to cite Balentine which is set for conference on 10/26/2012. Google Scholar is pretty good, by the way. I'll be careful with incontrovertible. I actually hesitated when I wrote that. I used the judo to corroborate the exsanguination study with regard to both carotids. I then assume the exsanguination study would be equally valid for a single carotid. I'll be careful with the word maximum. I also back up the exsanguination study with other evidence, as I'm required to do. That other evidence includes expert witness testimony, even though that wouldn't otherwise be arguable. 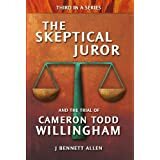 The other evidence includes the behavior of the other police on the scene, and the direct evidence of the initial officers that she was unconscious. I review when I'm done with everything to (hopefully) make such points clear. Thanks for the catch on formalin. Thanks for the help in general. I'm not sure if I'm going to argue IAC on appellate counsel, since no previous appeal claimed actual innocence or presented new evidence. If the State's reply someone raises the issue of appellate counsel behavior, I'll use Balentine, which I thought I had two l's until I read your note. I think the idea is that the appellate counsel should have investigated and raised these issues years ago. Failure to do so is appellate IAC. There was a case in PA in the early 90s where a young girl had her throat cut. The testimony was that she told her mother before she died that this other girl did it. It was in the news quite a bit. Eventually, the court found that there was no way she could speak with that type of injury. It was a bunch of kids and one girl directed her bf and her friends to attack this other girl out of jealousy. That is all I remember about it. Regarding appellate counsel's failure to investigate and raise these issues, do you have a federal and/or state case supporting such a claim? In TX, they are barred from raising the issue due to a procedural quirk. Balentine is asking the USSC to remove that barr by changing their prior holding. They just granted a stay to Haynes who I assume is riding Balentine's coattails. Just remember Balentine and Haynes may have gotten a stay based on this issue but Foster did not. Not sure off the top of my head how his claim differed. Thanks again. I was aware of Martinez but not Haynes.